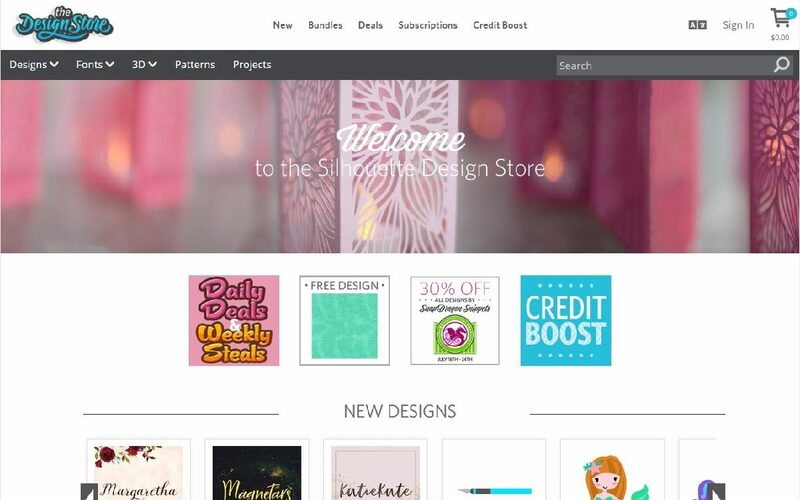 The Silhouette Design Store is an online marketplace with over 100,000 designs from artists around the world. Once you purchase a design or font, you can use it as many times as you want without having to connect to the internet to access your designs. This means that while you are designing in Silhouette Studio®, there is no lag time between performing an action and having it happen on your design screen. And if your computer crashes or some other accident happens, don’t worry! Any design you have download from the Silhouette Design Store is recoverable. 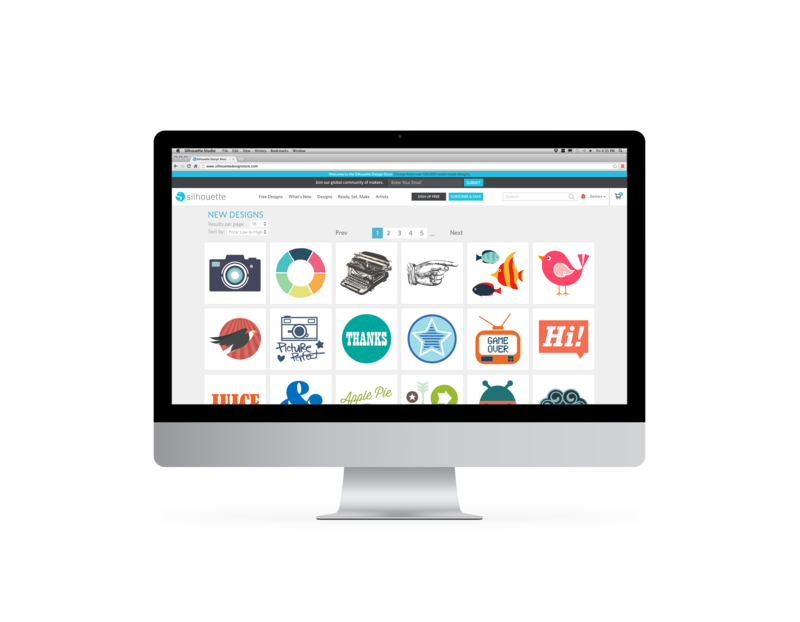 Plus, if you store your designs on the Silhouette Cloud, you will never lose anything and you can access your designs from multiple devices. There are two ways to buy designs from the Silhouette Design Store. À la carte is a pay-as-you-go system. 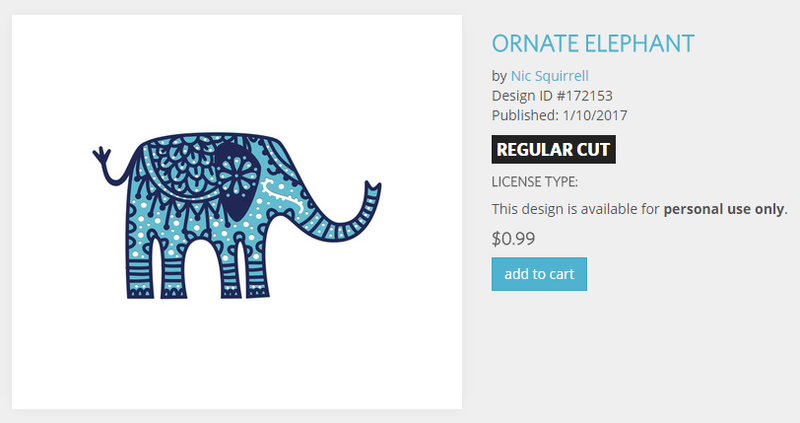 You can purchase a design or two whenever you want using your credit card, PayPal® account, or download card. The second way to purchase designs is through a subscription. Subscriptions give you a certain number of credits to use each month. If you download more than a handful of shapes each month, the Design Store subscriptions can provide significant savings over the pay-as-you-go service. To learn more about subscriptions, click here. You already know that a Silhouette Design Store subscription can offer huge savings for anyone who downloads frequently. For the more casual downloader, we’re introducing Credit Boosts. A Credit Boost is a great way to load up on Design Store credit and save money at the same time. The more you buy, the more you save—up to 50%! Credit Boost credits never expire so you can use them whenever you’d like. You can even spend your credits during design sales to get even more value. If you’re a subscriber, you can use Credit Boosts, too. They’re the perfect way to supplement your credits during those months when you want to download even more designs than usual. Whether you buy one design at a time or you have a subscription, Credit Boosts can be beneficial to you. If you know that you will eventually be spending $50.00 in Design Store purchases, you’ll want to buy a Credit Boost for $30.00, and I’ll tell you why. For $30.00, you will get $50.00 worth of credits on your account to buy any of the over 100,000 designs in the Design Store. That is 40% off every single design! Plus, credits from credit boosts never expire. If you don’t download enough designs to justify a subscription, Credit Boosts are the way to go! You can save up to 50% on each design when using a credit boost compared to buying designs á la carte. Credit Boosts gives a freedom that subscriptions don’t. The credits don’t expire, and there aren’t any monthly limits, so you can buy a Credit Boost and download designs when you want them. If you are an avid downloader, the subscription system is still the best value. But if you want to download more than your subscription allotment for the month, buy a Credit Boost! This can save you money on any additional designs you may want to download during the month. When you purchase a Credit Boost, you will still buying the designs à la carte. But, you will have bought the credits at a discounted rate, so you will be getting a discount on every single design that you download. Plus, you can pair your Credit Boosts with Design Store sales to save even more money on each design! So, if you download designs inconsistently or if you just don’t download very many designs, the Credit Boost is the best fit for you. And with so many awesome designs in the Design Store, spending those credits will be a piece of cake. Check out the credit boosts today to see what option is the best option for you!